SugarSync promotes this as an advantage but they have other limitations, as I found on this thread. They still don’t support removable drives which are very common nowadays. I actually just tested the app and it shows me an error when trying to sync contents of a folder on one of my external hard drives. I remember a couple of years ago using ZumoDrive (it was a beautiful), a service which offered exactly this but unfortunately after the company was sold to Motorola Mobility they shutdown the service :(. I tried to ask Motorola if they had any plans to re-launch it and they never replied. A complete service should allow me to point to network & external external hard drives paths of files and folders to be synced without any hassle. When this files are added to be synced to the folder no local copying should occur, just some kind of indexing. Some services already offer this, the “virtual folder” with all the files that might actually be there or pulling the list of file from their original locations, would show all the contents of what is being synced online. The files could be differentiated with different icon colors to show if a file is only in the main folder or is only a “pointer” to another location (AKA Shortcut). This folder should be able to be shared over the network too so if my family wants to backup stuff on this “special folder” we all would know that everything in there will be backed up online. Dropbox offers 100 GB for 100 USD/year, Google Drive offers 200 GB for USD 10/month and others like CrashPlan offers unlimited storage for USD 4/month (keep in mind CrashPlan is not a file sharing service its only a backup service). 50 GB > USD 3/month. 100 GB > USD 5/month. 200 GB > USD 9/month. 500 GB > USD 15/month. Annual Payments could be offered for the main two cheaper plans to avoid payment costs. Of course the storage capacity includes unlimited transfers (no caps). Although if because from a commercial point of view this is not possible. Sharing with other customers from the same service could be unlimited and sharing with users that don’t have the service (direct links) could be limited to lets say 200 GB a month transfer. If more is required then extra transfer GB´s could be purchased. This would prevent the miss usage of the service although of course if unlimited transfer for all users could be offered would be even better from a practical and marketing point of view. – View only: permissions (nobody cant edit, move or delete anything). – Collaborate: would allow anyone to add or move pictures to different folders but not to delete anything. – Full Control: would permit this users to do the same things I would do, including deletion. Most of the services that allow file sharing will count shared space also as own used spaced. For example if I share a folder of 100 GB of pictures with my family members, they would also need at least a 100 GB plan because the space of my shared folder will also count towards the capacity of their hired plan. This is not good, if I am already paying for my 100 GB and I want to share something with my family, then they should be able to even have a free account (if available) or the smallest plan (50 GB) and their storage shouldn’t be affected at all with what is shared with them. It would be nice to have the possibility of remote wiping a specific computer in case it gets stolen. All computer names where the application is installed should be showed online after login into the providers website. By removing and confirming by email that you want to really delete that computer the whole content from “the service” will be erased on the selected PC. A nice functionality to have and it has been requested on the Dropbox Votebox for some time now, is to be able to send emails to your “magic folder”. When you sign up, the service would assign you a unique email address just for your usage. Anybody that would have this email address would be able to send an email with for example attachments to that address. The system will process the received email the following way: It would create a folder name inside a unique folder called “Email Attachments” and would create a folder named with the date “29-03-13” + sender email address, Inside this folder all the attachments would be available. The platform should allow you to view and even possibly edit certain type of files. It would be great for example to be able to view pictures online, with possibility to view them as galleries like Dropbox does, etc. Word, Excel, PDF´s and more could be viewed online making the platform more complete. Integration with other already developed services as Google Docs or Microsoft Online services for some file types could work. Having statistics on how many shared folders I have and with whom, or knowing how many times a publicly shared file has been accessed would be nice information to have and would allow the user to have better control of their files and service. 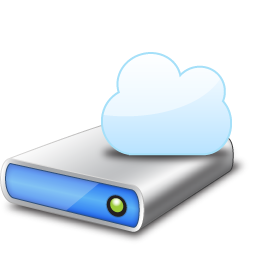 I´ve been testing AeroFS a Dropbox-like service without any “middle man” servers. This tool (still in beta) works as Dropbox (centralizing everything in a folder), but the nice thing is that if you want to share files or folders with another friend who also has AeroFS the synchronization will take place directly between your two computers, no middle server intervenes in the process. This is a great functionality but the ideal service would allow to share any folder without having to copy the files first to the “centralized one”. Also permissions as described on point 5 would be needed. CrashPlan also offers this service and I´ve been doing some tests today with good results, the free version already allows you to backup to a friends computer. They will encrypt everything from the moment the data gets out from your computer so your friend will never know what you are backing up on theirs. As I commented before the only bad side is that CrashPlan is only a backup service and not a file sharing service. You can take a look on how this works with CrashPlan on the following link. Some files we use on our computer could be more sensitive than others. If we could define a password to a specific folder so that every time we need to access that folder a password will be prompted wouldn’t be nice and secure? For the service to be reliable and fast, servers or CDN´s distributed around the world are a must. This way anybody living on any country or travelling will always access their files as quickly as their connection allows them to. One account should allow you to configure unlimited computers, tablets, smartphones with the service. Logically all information you have on your service should be accessible from any of these devices. Versioning of files should be offered with every plan. Being able to recover versions of a certain file up to 30 days from their last modification/deletion. The ideal service will listen to what the users require. Its frustrating to see how people ask for improvements in systems like Votebox (Dropbox suggestions) and the company doesn’t do anything. Doing polls or asking the users to participate and vote which are the next big changes the service could adopt would be a nice way to offer what the users expect from the service. What do you think? Am I missing any functionality the ideal online storage service should have? Feel free to share your ideas below. I recently made a deep research for my favorite cloud storage. It’s not an easy task because, although Dropbox & co. exists since years, there’s very little comparable information about cloud storage. So, I had to test them by myself. Wuala has all feature fulfilled and is extremely configurable. But it lacks sophistication. It’s client is made in Java, there’s no system integration and their mobile parts look ugly as hell. It works but makes no fun. I end up with SugarSync. It fulfills all my needs. Version 2 is really polished and everything works flawless. It even has an open API and I actually saw and use apps with SugarSync support. But it’s far from Dropbox coverage. Windows Explorer integration is superior to Dropbox. Right click -> Copy link … and there you have it in your clipboard. No more browser opening. Versioning is in your context menu as well. You can pull-in every folder on your harddrive to be synced. Plus there is this “Magic Folder” which is automatically synced to every client. You can even copy files (from an external drive) to SugarSync and than remove the files/drive. Of course you can decide which folder will be synced to which device. If you share a link, the web interface looks appealing like Dropbox. The only downside is their pricing. It’s like Dropbox (100 GB for $100/year or 250 GB for $250). But you can start with 60 GB and $75. Which saves you $25 if you don’t need 100 GB. 5 GB are free. So, what’s left of your criteria are 4 (Yes, cheaper is better but not now. Time will tell. ), 11 (You’re right. It’s so obvious. But I don’t use cloud storage on a large scale, just for personal things. ), 12 (I which I could exclude some large .BridgeCacheT or .tmp and .bak files. ), 15 (I can upload with ~1 MB/s (8 MBit/s). I don’t know where the servers are. But definitely not worldwide, right.) and 18 (Although they are improving a lot.). For the record: Copy is very good (as I wrote in the other post). Shortcuts, pricing and support are their plus. Their implementation of block level sync doesn’t work for me and the support of external drives is just a work around. But I’ll keep watching them because it’s very promising and the team is committed. Box.com is more about filesharing and collaboration. It acts like Dropbox but for documents. Filesize limit is 25 MB on the free account and 1 or 2 GB on the pro account. And account size limit is 50 GB. And therefor it’s out. Pricing is also expensive (17 €/month). HiDrive and RapidDrive are “drives”. You embed them via WebDAV. And that’s it. No sync, no sharing, no linking. Just you and your files. CrashPlan is for complete backups only. Unlimited storage, versioning, block level sync, encryption … But no sync, sharing and it’s tied to on device. Mozy is like CrashPlan but lacks sophistication. And it’s limited to 125 GB for private users. Next is business users with 250 GB and hefty 75 €/month. JustCloud’s and ZipCloud’s feature set look very promising. They have everything with unlimited space for $10/month. Problem: Sync space (different to storage space) is only 1 GB. 5 GB are additionally $16/year, 10 GB are $50/year, 20 GB are $98/year. Filelimit is 5 GB. But my problem is, both websites look very much the same and offer the same things for the same price. I suspect, it’s the same company. That’s dubious, IMO. To me, it looks like it’s one of those former freehoster that looked for a serious business model after the fall of Megaupload. I don’t know if they exist the next 2 years. That’s why they’re out as well. Gnuut, thanks a lot for sharing your experiences with different services. I am also searching for the best solution. I am keeping a close look to BitCasa, which offers unlimited, encrypted storage for USD 10 a month. They still have half sync functionality and they have to make sharing of folders with other user much better. They are working on a lot of improvement for what I can see at feedback.bitcasa.com. I am testing the platform syncing 650 GB of 130.000 files and I am having problems, still talking since weeks with the senior support team who is trying to address the issues talking directly with the development teams. I am testing different version of their early releases. Once they address this things, this would probably be one of the best options. You can check my review on BitCasa on my past posts. The other great option is Copy.com which looks very promising but they have to implement optional end to end encryption and more speed as Dropbox has. Also what you mentioned bit per bit sync would be helpful. Just ping their URL´s and you will see how the IP´s belong all to the same segment. Besides I came across a lot of review sites showing the “theoretical top cloud storage platforms” and magically JustCloud a very bad service is always with 5 stars…Cr@p.
To avoid this, today I started planning a review sub-site to this blog where I want to add all reviews of all Online Storage platforms. If you are interested on collaborating feel free to contact me through my contact form so we can discuss further. Thanks again for sharing your opinions! As of late, SugarSync’s low(er) speed really starts bothering me and it holds me back from subscribing. As I found it, it has always been an issue for a lot of people and hasn’t been addressed at least since 2011. Totally agree, Bitcasa looks very promising, but they have to solve some core issues. Like the sharing for example is so awkward that shares only a snapshot of the file/folder and it doesn’t updated if you add more files to it. Also I tried to sync 130.000 files (650 GB) and I had a lot of problems that they are still working on them. They shouldn’t have go out from Beta so early, but well…lets see if they can really get out a polished product soon. A lot of people are actually waiting for it. The problem is, I’ll like to use cloud storage now. I really need it – not totally but it’ll helped me a lot. But I’m still waiting. Waiting for Dropbox to get around the one-folder policy and include just storage. Waiting for SugarSync to build a European data center or to just do something about their speed. Waiting for Copy to support correct bit-level syncing, better speed and a more convenient way to deal with external folders/drives. And now we’re waiting for Bitcasa for proper syncing and a lot of beta-state and workflow fixes. What’s the problem? Technically it’s there. Business-wise also. But nothing fits perfectly. We both have similar wishes for our cloud storage. And I’m sure, we are not alone. Why does nobody fulfill our needs? I agree these are the things a good service should offer. Would like to see this offered by Dropbox or other market elephant.